There was been some treachery in our adventure group, but I’ve been forbidden to speak about it... until now. You may recall on our last adventure, we had some concerns that one of the guys, Taylor, was driving a 2005 2WD XTerra. Mostly, we were pretty sure we’d be pulling him out of some calamity or another at least once a day. 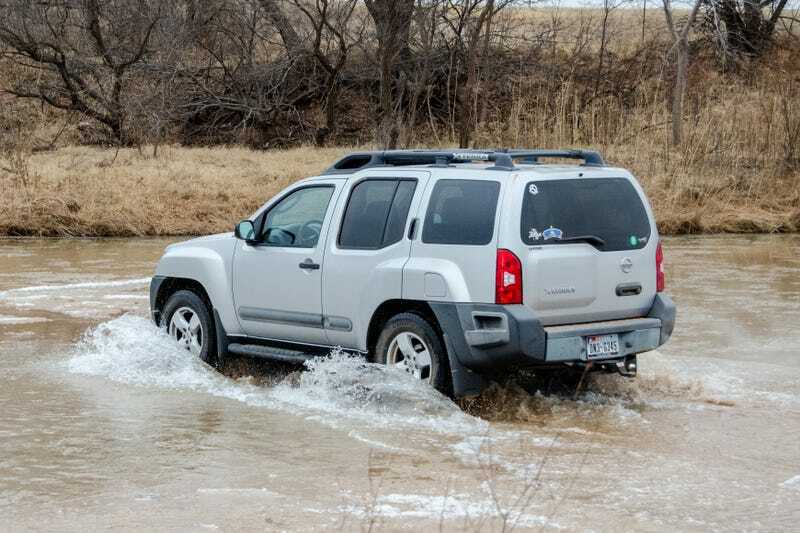 In truth, the XTerra did great. Its only real problem was throwing a code after its trip through the river. That said, we knew this next trip was going to be much harder than the last and Taylor had some concerns about an aging, 2WD XTerra making it. So either, Taylor had the XTerra repainted, put new wheels and tires on it, added offroad lights, did a manual swap, and added 4WD... or he bought a new car. Meet Taylor’s new ride, a 2015 Nissan XTerra Pro-4X! It has a 6-speed manual, proper 4-wheel drive, factory electronic rear differential lock, and factory off-road lights. It is a pretty sweet ride! Turns out that after the last trip, the 2005 XTerra took a bit of a turn for the worse. Already a bit long in tooth, the CEL that started on the trip never cleared up and required some annoying work to get resolved. On top of that the windshield was cracked, the tires were getting old, the battery was on its last legs, and the AC compressor decided to unceremoniously die. All fixable with a bucket of cash, but all this paired with his newfound love of 4WD and manual transmissions meant the much loved and long serving 2005 was nearing the end of its twelve year tenure with Taylor. Ultimately, he decided not to mess with a good thing and go for a car he knew he already liked. In our typical style, he decided not to tell anyone and just show up in it. As of today, everyone knows and I am finally allowed to talk about it! Last Sunday, still equipped with his temp tags, we took it out to the off-road park and put it through its paces! As expected, it did just fine. The 2015 tackled everything that was thrown at it with gusto. It makes a worthy successor to the 2005, and we look forward to many great adventures with it. The 2005 shall be missed.